Since 1995, the Texas Book Festival has connected Texas authors with readers through literary panels and readings, book signings, demonstrations, live music, family fun and local eats. 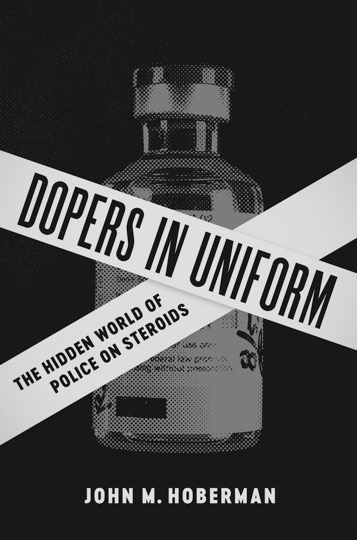 This year at the festival, Germanic Studies Professor John Hoberman presented his third book on the social impacts of anabolic steroids, Dopers in Uniform: The Hidden World of Police on Steroids. His newest book follows two previous works on the topic, including Mortal Engines (1992), which examines the sports world; and Testosterone Dreams (2005), which looks at the medical world. Visit Life & Letters, the magazine of the College of Liberal Arts, to read Hoberman’s Q&A. This entry was posted in Uncategorized and tagged College of Liberal Arts, Germanic Studies, John Hoberman, texas book festival by Jessica Sinn. Bookmark the permalink.